A blog highly recommended to me last year, by other bloggers, was Steph’s Two Girls. 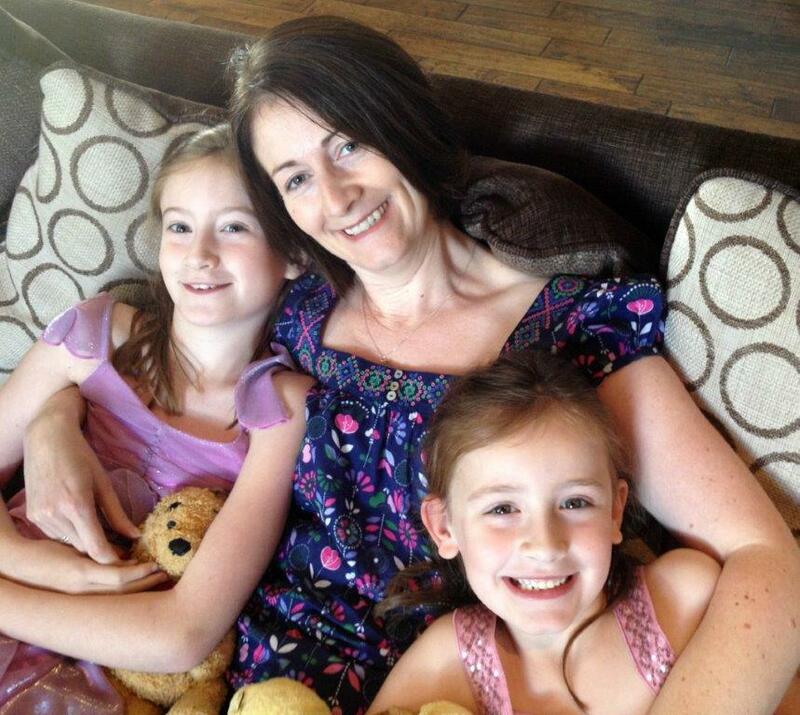 I rushed to check it out, and started to follow Steph’s stories, where she talks about family life raising two girls, one of whom has a diagnosis of autism, and in particular Pathological Demand Avoidance (PDA). I hadn’t heard too much about PDA before and found it fascinating, as I can certainly empathise with the challenge of having such increased anxiety levels. Here Steph tells us how PDA has made her family adapt their lives, and their parenting style, to ensure they can reduce the amount of stress in her daughter’s life. Over the course of the past six years, I’ve learnt a lot about autism. I still don’t know it all, and probably never will. Before our girl got her diagnosis though, I knew nothing about autism. So I understand why other parents don’t understand. Why they judge me for the way I parent our girl. Why they don’t see the underlying cause of her behaviour. They can’t see her hidden disability. They don’t know that she has a certain type of autism called Pathological Demand Avoidance (PDA for short). My job, as her mother, is to explain to others what her difficulties and differences are, so that she is not judged unfairly. PDA is an anxiety-driven need to be in control and to avoid everyday demands made by others. The more demands, the more anxiety. Children with PDA tend to be constantly at the tipping point; the fear of expectation can often be enough to push them over the edge to a meltdown. What we have had to do for our girl, is remove as many demands as possible. So we don’t impose adult-led routines on her – she doesn’t have to brush her teeth if she doesn’t want to, our bedtimes can be a bit flexible. We use PDA strategies to get through every day. We give choices, but not too many, and we don’t use trigger demand words such as ‘can’t’ or ‘must’ or ‘need’. We allow her the chance to say no, but we rarely say no to her – not outright at any rate; we get around it with phrases such as ‘that’s not a good idea/not going to work right now but maybe another time/maybe xyz would be work instead?’. We recognise her need for quiet time and we don’t force the issue of homework – in her mind, work should be done at school. We realise we are lucky though. Our PDA girl has an older sister, and we’ve never needed to parent her in this way. Traditional parenting, rewards, consequences, they all work for our eldest girl. That’s why we know that it’s different for our youngest. That she has different challenges in life. Others may think we are ‘giving in’ to her demanding behaviour, but we see it as helping reduce her anxiety. We wouldn’t do it if we didn’t need to. Yes, it’s hard work. It’s mentally exhausting, trying to stay one step ahead, and thinking always in terms of Plan A, B, C and Z. It can be very isolating, not being able to take part in social occasions with others. It can be very stressful, barely being able to leave the house at all with her some weekends. It can be scary, wondering how we are going to get her to achieve to the best of her potential. Treated with respect and understanding though, our girl manages to shine despite her anxiety and her difficulties. Thanks to the flexible attitudes of school staff, and plenty of sensory breaks, she manages to crawl her way through the school day and progress with her learning. I’m sure that she is leaving a huge impression on each and every person who she comes into contact with. Her classmates have been amazing and accepted her for who she is; I’m sure they will turn out to be better, more tolerant adults because of her. She is different, not less. Every day is a challenge, and every day is one more chance to educate others, to make society a more accepting place. Steph Curtis is mum to two primary-age girls and blogs at Steph’s Two Girls. She started blogging over six years ago after her youngest daughter Sasha was given a diagnosis of Autistic Spectrum Disorder (also called ASD or Autism). A buyer of toys and stationery in her pre-children life, Steph has now become a Trainer to help all parents of children with disabilities find support and information. Although ASD was the original diagnosis for Sasha, it is believed that she actually has a specific type of autism known as Pathological Demand Avoidance (PDA). Steph is keen to raise awareness of this condition and runs courses for parents to help with strategies for everyday life. Steph is on Twitter as @stephc007 and Facebook as www.facebook.com/stephstwogirls. Thankyou so much for this. My son only has PDD as a diagnosis which I’ve always felt wasn’t quite on the mark. But he got this when there was still a lot of debate about PDA and the only place you cd get it was actually going to Nottingham and the clinic belonging to Dr Newsom herself. I had unless ongoing rows with his school about how to handle him. I’ve even had numerous rows with husband bc he considers it “giving in” where I consider it adjusting the world to make it tolerable, there is a huge difference. Your comment about the homework made me laugh out loud, that’s exactly how my son sees everything.”A place for everything and everything in it’s place” takes on a whole new meaning when dealing with these kids eh? My son is now 24 yrs old and got himself on anti-depressants a few months ago which clearly helps reduce the stress. Next on the list is trying to get him a job or an apprenticeship, wish me luck lol! Our son is asd diagnosed but suspected pda and his school teachers, they also use pda methods but our asd board refuse to re diagnose him for pda … it’s very frustrating, we are constantly fighting to get the support he needs. As always a great post Steph, I love how you are on a mission to educate others, it’s so important that we all realise that different doesn’t mean less. I’ve always admired how Steph manages her life with her children amidst the challenges they face, not only from PDA but also in the judgement and expectations of others. She always seems to explain the circumstances so articulately so that people without this experience can understand and greater understanding all round is probably a massive step forward. Thank you so much. Am trying to help others so happy to see it working! I have to say I absolutely love Stephs blog and have on many occasions pointed friends struggling with diagnosis her way. *blushes* thanks so much, it’s lovely to be a stepping stone along the way for some people! I’ve never had to deal with anything like this and wouldn’t know anything at all about it if it weren’t for Steph’s blog. Reading blogs such as these have really helped me to think twice before judging any parent when I see behaviour that I would normally think was just a child being ‘naughty’. Have to admit I did not know much about it. But pleased to hear that the school are being flexible and her classmates are being supportive.